Where are all of my other wikis? This problem only appears at nlwiki. 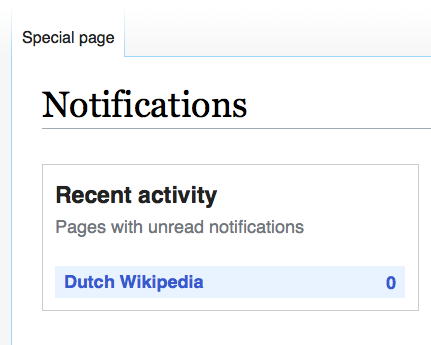 Can you confirm that "Show notifications from other wikis" is enabled under Special:Preferences#mw-prefsection-echo in nlwiki? If so, could you try marking any notification on any wiki, but with that same account, as read or unread and see if it helps? This would trigger an update of the table that keeps track of unread count in foreign wikis. It was turned off. I have turned it on, and also set it on in my GlobalPreferences. Can you tell me what the sitewide default is for that setting at nlwiki? It defaults to TRUE everywhere. Have you had you account on nlwiki for a while or was it just (auto-)created?